Back in March I wrote an article, Amidst the Cacophony, that touched on the power of silent meditation and attending to the “soft, still voices that come from the depths” in an age of sensory overload. 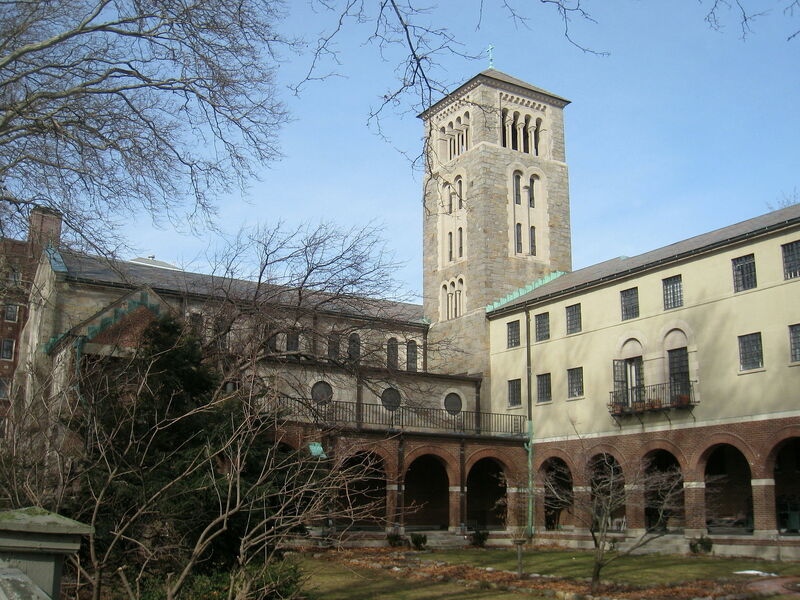 In that article I shared my experiences with the monks at the Monastery of the Holy Spirit in Conyers, Georgia and, many years later, the Society of Saint John the Evangelist in Cambridge, Massachusetts. For several years I have had a fascination with the concept of neuroplasticity, how the brain changes in response to experience. For most of my childhood and adolescence, it was assumed that our adult brains were immutable (that is unless subjected to external trauma or disease). I remember learning in school that each region of the brain was fixed, with a very specific job to do, that the brain was hard-wired, and that we were born with a set number of brain cells. But researchers, going back roughly to the mid 20th century, began to understand that experience does, indeed, alter brain structure. The study of what we now know as activity-dependent plasticity, the impact of thought and personal experience on brain structure, was pioneered, among others, by a neuroscientist at UCSD named Michael Merzenich and popularized by Jeffrey Schwartz, a UCLA-based research psychiatrist and Sharon Begley, now a science writer at the Boston Globe. Schwartz and Begley wrote a book several years ago, The Mind and The Brain, which explored the concept of self–directed neuroplasticity, the ability to use mental force and experience to literally change the structure of your brain. Begley, in fact, wrote a sequel to The Mind and The Brain, entitled, quite appropriately, Train Your Mind, Change Your Brain. So what does all of this have to do with monks? Quite a lot, it seems. There is a tendency, especially in the fast-paced business community, to discount such “soft” practices as frivolous or, at best, of limited value and not worthy of significant time and attention. But the science clearly tells us otherwise. In 2008, the Dalai Lama, in a speech in Washington, DC, presented the results of research on the relationship between meditation and the brain, conducted on Tibetan Buddhist monks at the University of Wisconsin-Madison’s Waisman Laboratory for Brain Imaging and Behavior. The findings of these studies are compelling. After tens of thousands of hours of meditating, the monks had actually altered the structure and function of their brains. And these results have been replicated by other researchers. One of the key findings suggests that meditation is associated with a significant decrease in emotionally reactive behaviors that are incompatible with stability of concentration. In other words, a marked decrease in activation of the amygdala allows us to focus on issues without letting emotional reactions get in the way. Another finding suggests that frequent meditators are able to “better attend moment-to-moment to the stream of stimuli to which they are exposed”. This seems particularly important in an age when we are bombarded with stimuli and distractions from all directions, some of them worthy of attention but much of them just noise. Reports of these studies coming out of the University of Wisconsin also present other noteworthy benefits of meditation, including a significant increase in activity in the insula and the temporal parietal region of the brain, which are important for detecting and responding to emotions and processing empathy, “especially in perceiving the mental and emotional state of others.” These qualities are critical to the cultivation of Level 5 leadership. And, of course, there are the well-documented physical benefits, increased oxygen uptake, decreased heart rate, reduced blood pressure. Great article! It’s good to know that science is now able to prove the benefits. Thanks for sharing!